The best way to get to know a community is by scheduling a tour. 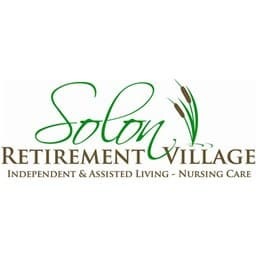 See the facilities, meet the staff and residents, and get a feel first hand what it's like to live at Solon Assisted Living Village Assisted Living. Solon Assisted Living Village opened January of 2010 and offers 18 apartments with kitchens/kitchenette, walk in closets and wireless response pendants. Choose from a studio or two different size one bedroom apartments on a month-to-month rental basis.